Macy’s beat on the top and bottom lines. Sales slumped 1.1% versus a year ago. The retailer raised its full-year earnings and sales forecasts. 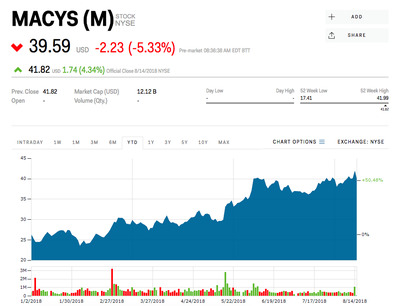 Watch Macy’s trade in real time here. Macy’s reported second-quarter results that topped Wall Street estimates and raised its outlook for earnings and sales for the full year. However shares are down more than 5% ahead of the opening bell as the better than expected results came as sales slumped. The retailer earned an adjusted $US0.70 a share, beating the $US0.50 that Wall Street analysts surveyed by Bloomberg were anticipating. Net sales in the second quarter dropped 1.1% to $US5.57 billion, from $US5.64 billion, but beat the $US5.55 billion that was expected. The company also reported comparable sales on an owned basis that were flat in the second quarter versus a year ago. 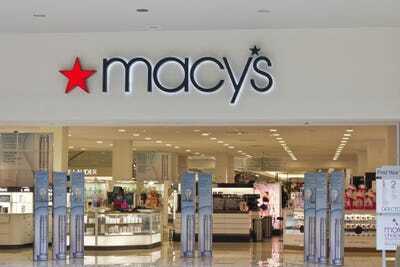 “Our strategic initiatives are gaining traction,” Macy’s Chairman and CEO Jeff Gennette said in the earnings release. “They contributed to our first half results and will continue to have a positive impact on our performance in the back half of the year. This, combined with continued strong execution and a healthy consumer spending environment, gives us confidence to raise sales and earnings guidance for fiscal 2018,” said Gennette. 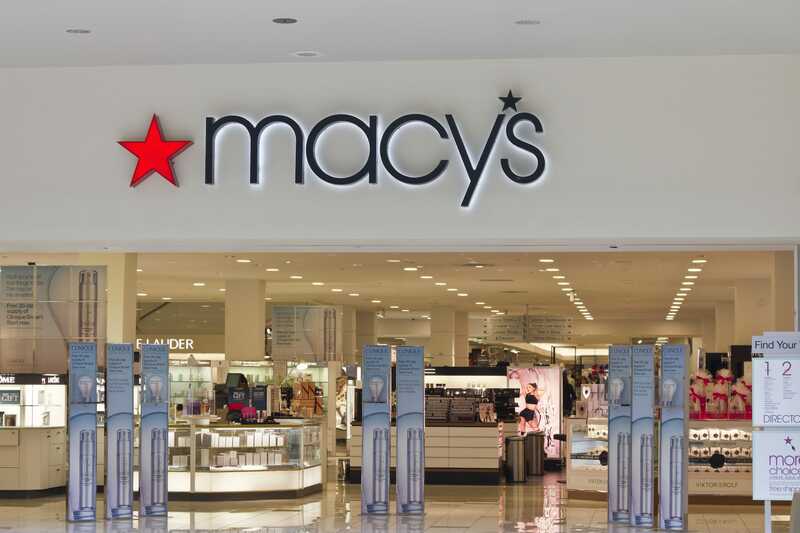 Macy’s now expects to earn an adjusted $US3.95 to $US4.15 a share in fiscal 2018, up from its previous estimate of $US3.75 to $US3.95. Wall Street was hoping for full-year earnings of $US3.85. As for full-year sales, the retailer sees them flat to up 0.7% verus a year ago. It previously forecast a drop of 1% to an uptick of 0.5%. Macy’s shares were up 66% this year through Tuesday.